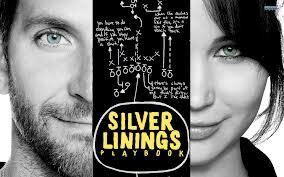 At long last, Silver Lining’s Playbook – David O. Russell’s story of love in a hyper-diagnosed, over-medicated, label-dependent society – is available on DVD. Bradley Cooper plays a damaged man returning home to Philly from an institutionalized stint. He returns to a football obsessed father with undiagnosed OCD (Robert DeNiro – and he’s actually acting, everybody! ), and his own unrelenting determination to win back his estranged wife. And then he meets an unbalanced, brooding, unquestionably hot neighbor (Oscar winner Jennifer Lawrence). Both leads are fantastic, buoyed by an excellent supporting cast and a screenplay that bends to enough Hollywood tropes to be a crowd pleaser but subverts enough to be a real surprise. We’re not going to pretend we championed Lawrence since her TV days on the Bill Envall show, but with Winter’s Bone, she impressed us and everyone else who saw her gritty, Oscar-nominated performance. As a young woman in the Ozarks wading through family secrets while searching for her father, Lawrence is never less than frighteningly real. She is surrounded by an outstanding supporting cast, most notably John Hawkes and Dale Dickie. Director/co-writer Debra Granick crafts a latter day Deliverance that grabs you early, not letting go until you feel that you’ve survived an experience, not merely seen a movie. For Your Queue: Who’s the smoothest, baddest mutha to ever hit the big screen? ← Does this Suit Make Me Look Super?